The Post Office has outsourced user computing services to Computacenter in a four-year managed services deal. The Post Office will refresh the computers used by staff with new desktops, laptops and tablets. Computacenter will provide IT support services and the Post Office will pay as it uses. The contract will see 11,500 branches and 4,000 head office users supported. According to TechMarketView analyst Kate Hanaghan, Computacenter was up against Fujitsu, which had held the contract for 18 years, and HP. “We estimate the deal could be worth more than £100m to Computacenter over four years,” she said. Computacenter will procure, build, configure and install more than 30,000 devices. It will also dispose of legacy equipment as part of the 18-month refresh. The new technologies will be supported by Computacenter’s Global Service Centre. As part of the contract, the Post Office will start using Microsoft Office 365 to improve collaboration in its customer support operation. A platform to support the Post Office’s separation from the Royal Mail Group will be hosted in Computacenter’s certified datacentre in Romford on a resilient private cloud infrastructure and monitored 24/7. The full service is due to go live in early 2015 following the implementation of the new customer support centre infrastructure and devices. The Post Office has undergone a massive change in recent months, including separation from Royal Mail and transforming its branches through its IT & Change Transformation Programme. 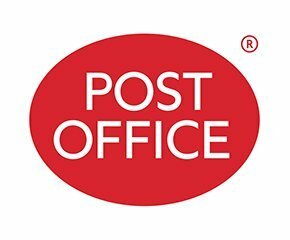 Post Office IT is currently under scrutiny following an investigation after sub-postmasters alleged they we falsely accused and even prosecuted for accountancy malpractice. Although the accounting system, known as Horizon, appears to have worked properly, a report has raised concerns over unreliable hardware, exceptionally complex systems and a lack of proper training.